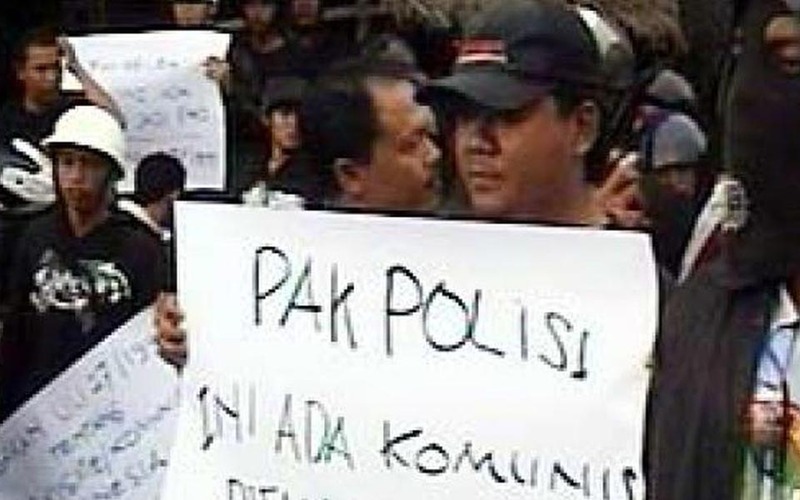 Oppose the 2009 elections of the political elite – an election of the human rights violators, capitalists, corruptors and opportunist! 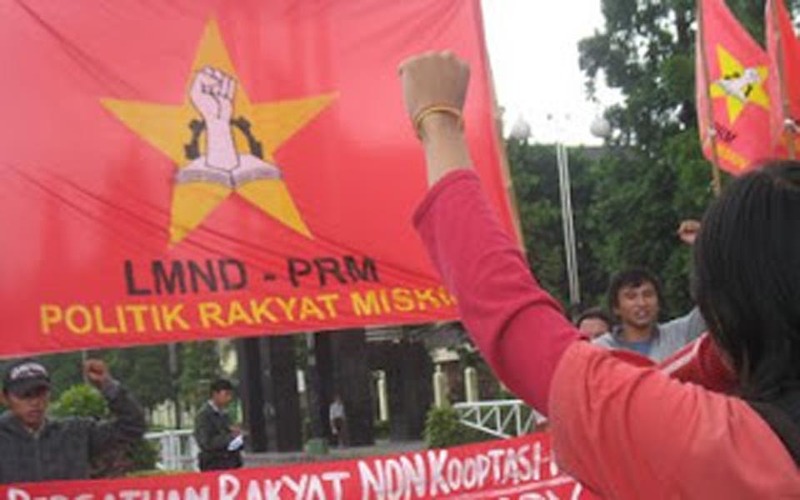 The following are statements of objection by three organisations that are part of the Ternate (North Maluku) National Liberation Front (FPN) against statements and releases issue by the Indonesian Student League for Democracy (LMND) and the People's Challenge Alliance (FRM). 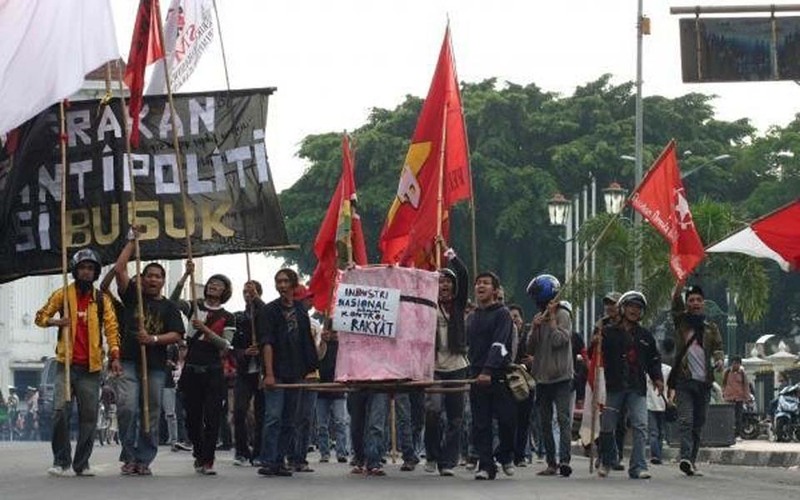 The battle drum of the Indonesian people’s resistance to the planned fuel price increases has been sounded – students, the urban poor, workers, farmers and women in every corner of the country are daily holding actions that are growing and uniting day by day. 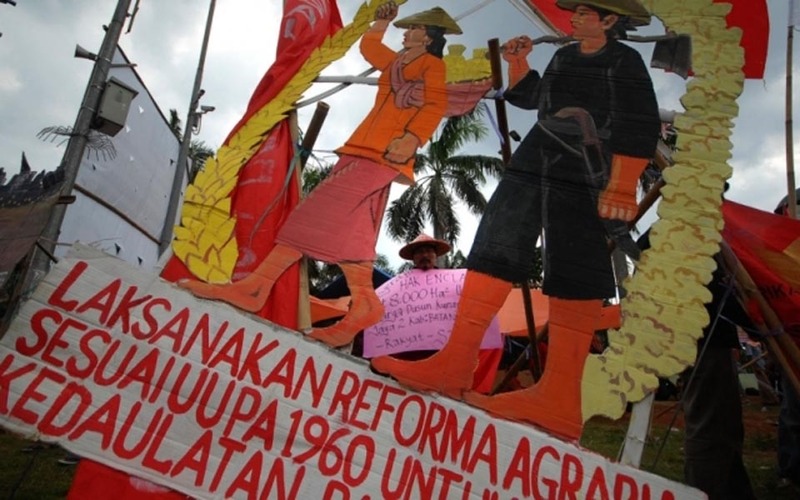 Jaukak Gulton, a farmer activist aged 66, who was actively in the struggle over a land conflict in Mariah Hombang village, Hutabayu sub district, North Sumatra province, was found lifeless on nearby land on February 13. His head and chest was covered with grass. 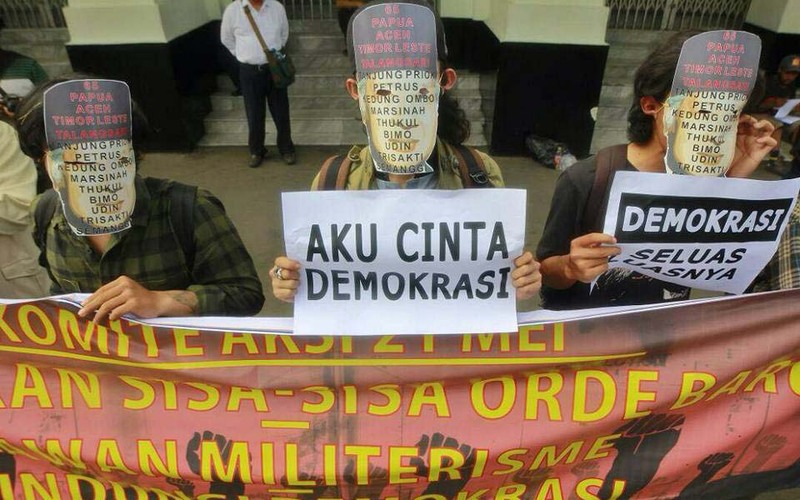 Beginning last Monday, the National Student League for Democracy (LMND) held two-day demonstrations in Jakarta to rally the campaign for the nationalisation of oil, gas, and mining industries. 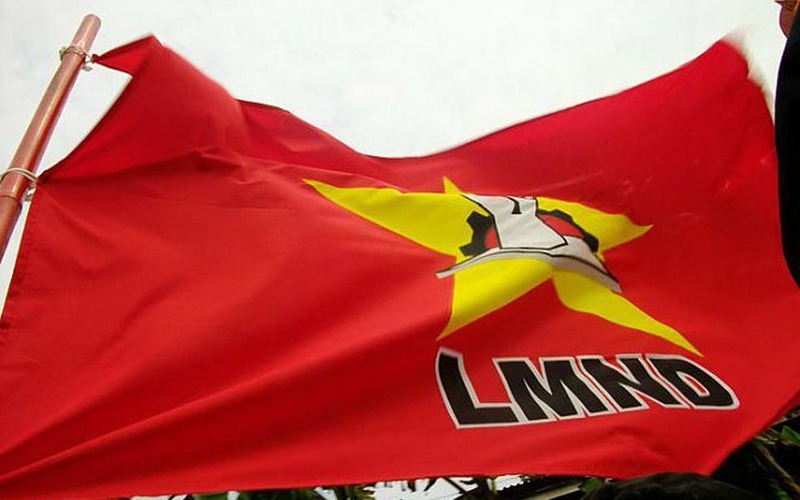 The following is an open letter issued by the National Liberation Party of Unity (Papernas) following the March 13 attack on Papernas’s regional office in the Central Sulawesi provincial capital of Palu. 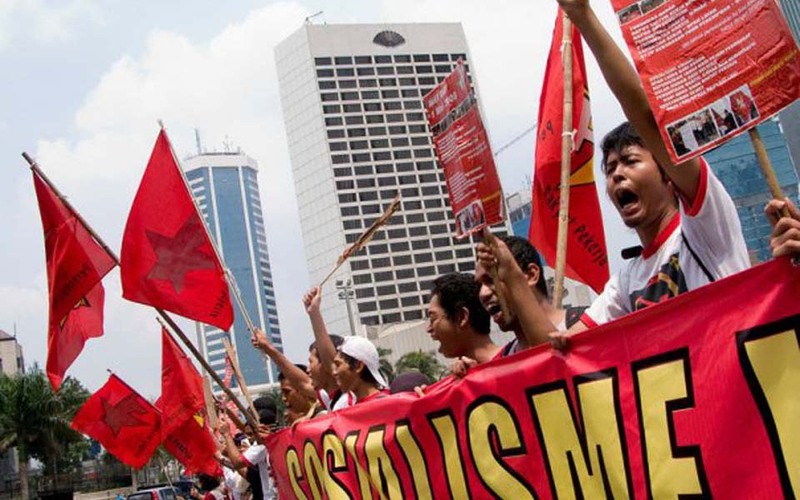 The Millenium Development Goals have failed! 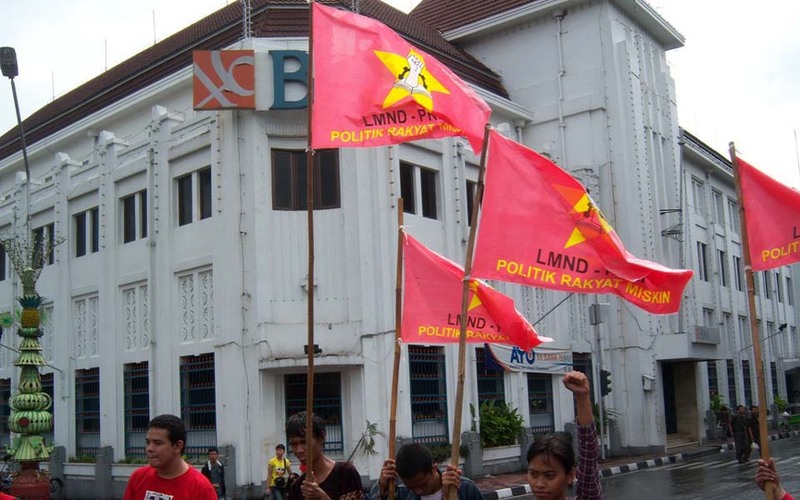 The following statement was to be presented during action by the National Liberation Party of Unity (Papernas) at the Hotel Shangri-La in Jakarta on March 29 to protest a meeting on the Millenium Development Goals and the newly passed Foreign Investment Law.